A screen cleaner with soft plastic on one side and cloth on the other side to clean all kinds of electronic screens like cell phones, cameras, iPods and other similar items. 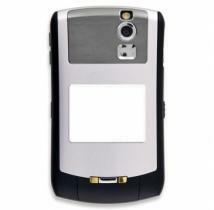 This can be attached to cell phones, key chains, camera cases, Ipods and other cases or devices. 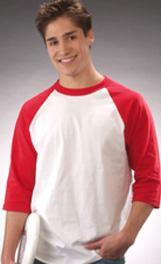 Size: 1 5/8" x 1 1/8"h Imprint Area: 1 1/4"diam. Carton Weight: 20 lbs/2000 pcs. Comfort guaranteed!. The ultimate solution for your twisted earbuds! 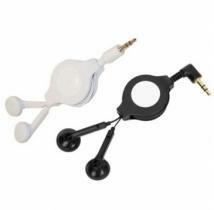 Handy cable winder for your MP3, MP4 player or iPod's earphones. Made of soft silicone material for great comfort while you are travelling. 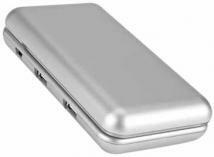 Print Area: 20 x 9 mm Product Dimensions: 76 x 31 x 8 mm Weight Product: 12 gr Compliance: CE, FCC Features: Lightweight design Suitable for MP3, MP3 player or iPod's earphones. Turns any outlet into a charging platform Folds flat for easy storage or mailing Lightweight Keeps mobile devices off counters and floors Great imprint area. Size: W: 3 1/2" X H 2 3/8" Imprint Size: TRIM: W: 2 1/2" X H 1 3/8" Packaging: polybagged Ship Weight: 100 QTY/ 4 LBS Carton Size: 20x20x12. 11 Great Colors Lightweight, Flexible Yet Strong PVC Great For Mailings Or Handouts Large Imprint Area. Approximate Size: Flat: 3 1/8" W x 6 7/8" H Folded Up: 3 1/8" W x 2" H x 2 1/2" D. Imprint Area: 2" W x 1" H Packaging: 250 per carton @ 22 lbs. 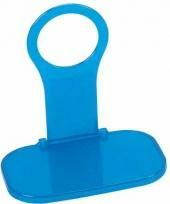 Great For Keyboard And Screen Cleans Cell Phones And PDA Screens. 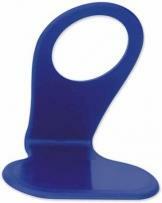 Approximate Size: 2 3/4" W x 2" H Imprint Area: 2 1/4" W x 5/8" H Packaging: Cello Bag, 250 per carton @ 19 lbs. Lightweight, Flexible Yet Strong PVC Great For Mailings Or Handouts Giant Imprint Area. Approximate Size: 3 3/8" W x 6 7/8" H Folded Up: 3 3/4" W x 2" H x 2 1/2" D Imprint Area: 2 1/2" W x 1" H Optional Backside: 1" W x 3/4" H. Packaging: 250 per carton @ 28 lbs. Great For Keyboards And Screens Cleans Cell Phones And PDA Screens. Approximate Size: 1 3/4" W x 3 1/2" H Imprint Area: 1 1/4" W x 2 1/2" H Packaging: Cello Bag, 500 per carton @ 31 lbs. 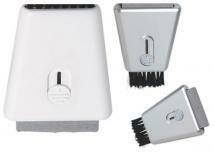 Microfiber screen cleaner for electronic devices. 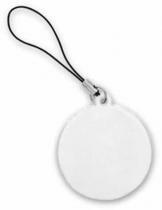 Sticks to the back of your phone/PDA/MP3 player and can be used time and time again making your message loud and clear.Available in 1 inch square or 1 inch diameter circle. Adhesive backing that doesn't leave residue. Adhesive quality restored by rinsing with water. Reusable - making it less wasteful than other cleaning products. Comes with stock card. Delivery time approx. 3 weeks after proof approval. Custom card available additional $0.50. Setup $60. Custom shape available with die charge $400. Delivery: Standard: 2 weeks for pre-production sample, 4 weeks for production after proof approval. Size: 1"H x 1" W (cleaner), 3.8" H x 2.1" W (card) Imprint Area: 0.75 "H x 0.75" W (cleaner) Packaging: Polybagged Packing: 50 lbs per 250 pcs. 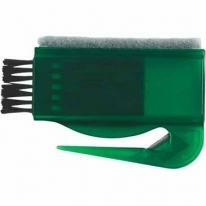 Great For Keyboard And Screen Cleans Cell Phones And PDA Screens. Approximate Size: 2 1/2" W x 2 3/4" H Imprint Area: 1 1/4" W x 1" H Optional Backside: 1 1/2" W x 1/2" H. Packaging: Cello Bag, 250 per carton @ 13 lbs. 3/4" Polyester Cell Phone Lanyard with Metal Split Ring. Dimensions: 3/4" x 21" on each side Imprint Area: 1/2" x 12" - front side; left + right panel. Shipping Weight: Approx. 5 lbs. / 100 ct. 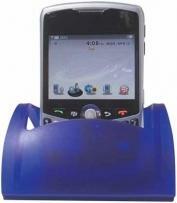 Holds Cell Phone, PDA, MP3, Etc. Swivel Clip And Belt Loop For Attachment. 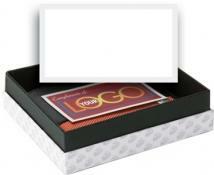 Approximate Size: 3 1/2" W x 5" H Imprint Area: 2" W x 1 3/4" H Packaging: 250 per carton @ 15 lbs. This Bluetooth ready cell phone/iPod holder, is made in USA, secures your cell phone safely within the cup holder of your car or SUV. Did you know? Average Commute for an individual in a car is 90 minutes... Imprint size : 2" w x 5/8" h. Packing / Shipping weight : 350 per case/30 lbs. 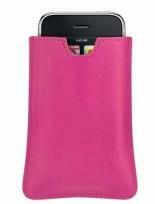 Holds most cell phones, MP3 players, keys, cash, or cosmetics. Strap snaps on and off. Actual Size: 5-1/2"h x 2-7/8"w Imprint Area: 2"h x 1-1/2"w Packaging: Bulk. Shipping Weight: 12 Shipping Quantity: 250. 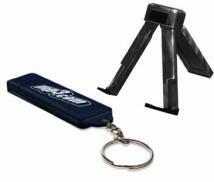 TriPod is a keychain tripod for your MP3 player or Smart phone. 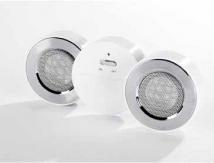 It amplifies the sound of your favorite MP3 player, iPod, iPhone or Smart phone. It's a compact, portable keychain in a unique web key design. Dimensions: 2 4/5" W x 4/5" H x 9/20" D Imprint Area: 1 1/4" W x 1/2" H Packaging: 200 pcs., 17" x 12" x 15" (29 lbs.). 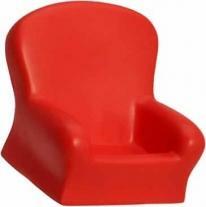 Materials: Polyurethane Item Size: 3\" x 3\" x 3\" Imprint Area: 1-3/4\" x 1\" backrest, 1-1/2\" x 1/2\" footrest. Packaging Info: Packaging: Bulk Qty/box: 150 Pounds per Box: 21 Box Size: 16\" x 16\" x 16\". 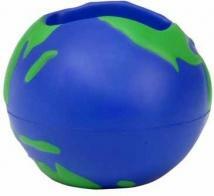 Earth Cell Phone Holder. 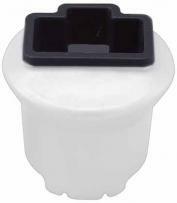 Materials: Polyurethane Item Size: 3-1/4" dia. x 3" Imprint Area: 1-1/4 x 3/4" front, 1 x 3/4 back Packaging Info: Packaging: Bulk Qty/box: 150 Pounds per Box: 21 Box Size: 16" x 16" x 16". Power station cable can generate power to charge low voltage items, i.e. mobile phone. Works with DFR Dynamo Radio/Flashlight and DY03 Dynamo Lantern. Packaging: White Box Pieces Per Box: 200 Weight Per Piece: 0.06 lbs. Weight Per Box: 12 lbs. Case Dimensions (L x W x H): 17 x 10 x 8. Earbuds. 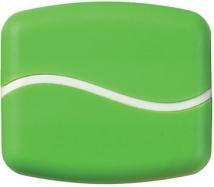 Item Size: 3 1/2" x 2 1/2" x 3/4" Imprint Areas: 2 5/8" x 1 5/8" Max. Imprint Colors: 2. Addl Run Charges: $.25 Per Color. Packaging: Individually Boxed Items per case: 100 Carton Weight: 13 lbs. Cell phone/iPod holder with pen hole and pen. Did you know? Average Commute for an individual in a car is 90 minutes... Imprint size : 1-1/2" w x 5/8" h. Imprint area : 1-3/8" w x 1/2" h on pen. Packing / Shipping weight : 350 per case/30 lbs. Patented design "charging station" hangs between charger and electrical socket. 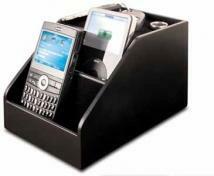 Provides cord storage and support for cell phones and other electronic devices such as iPods, PDA's and MP3 players. Made in the U.S.A. of plastic and rubber. US Design Patent #: D560,115 S. Finish: Plastic Dimensions: 4" W x 4 1/2" H x 2 3/4" D Imprint Size: 2 1/2" W x 1" H Other decorating methods are available for this item, please call. Packaging: Each with a printed paper instruction sleeve, bulk packed. Carton Dimension: 15x15x10 Shipping Weight: 100 qty - 8.5 lbs. Our Guitar Pick accessories are produced using both our Rick Rock and Clear picks with their 3D translucent effect and a photo quality imprint inside. Available with a quick release necklace, key chain, zipper pull, or cell phone charm and packaged in our professional "Executive Style Packaging". NO SET UP, DIE OR COLOR CHARGES. To exclude "Executive Style Packaging" deduct $0.25 for bulk. Deduct $0.11 for zip lock bag packaging. 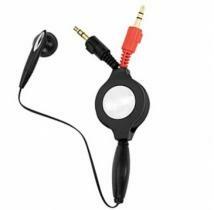 Retractable PC Earphone with Microphone, cord extends to a full 55" length. Product Dimensions: 10-1/4"L x 1-1/4"Dia Imprint Dimensions: 1/2" Dia Extra color/position imprint add $55.00 set up, plus running charge of $0.80 per piece for quantities of first two pricing columns, $0.40 per piece for quantities of last two pricing columns. Packaging: white box Units/Weight Per Carton: 500 pcs/33 lbs. 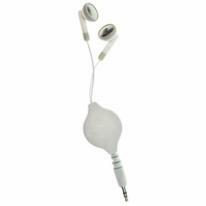 Retractable Earphone, cord extends to a full 39" length. Product Dimensions: 4-1/2"L x 1-1/4"Dia Imprint Dimensions: 1/2" Dia Extra color/position imprint add $55.00 set up, plus running charge of $0.80 per piece for quantities of first two pricing columns, $0.40 per piece for quantities of last two pricing columns. Packaging: white box Units/Weight Per Carton: 500 pcs/33 lbs. For use with DFR, DY04, DY05. Pieces Per Box: 50 Weight Per Piece: 0.30 lbs. Weight Per Box: 15 lbs. Case Dimensions (L x W x H): 16 x 9 x 10. 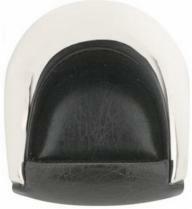 A polished chrome metal cell phone holder. 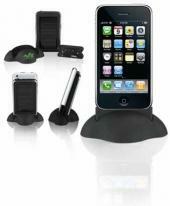 Sits at an angle and features a non-skid slip resistant pad that holds the phone in place. Great for the office desk or use it at home. Optional Free Laser Engraving is included in the price. Includes a gift box. Size: 2 1/2"w x 5"h Imprint Area: 1 3/4"w 3/8"h Carton Size: 14" height x 14" width x 12" length Carton Weight: 34 lbs/100 pcs. Backup your mobile phone SIM card1 so you don't lose contacts & numbers if your phone is damaged / stolen. 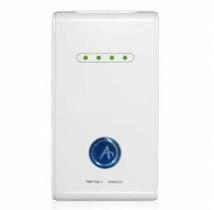 Works with GSM phones (including AT&T, T-Mobile). Note: SIM card not included. Size: 2 1/8" x 1 3/4" x 1/8". Imprint Area: 3/4"w x 3/8"h. Shipping: 12 lbs. per 100, individually packaged in gift box. Dynamic Drivers Produce Superior Sound Reproduction 4' Cable with Insulated Jacket In-Ear Tips Block Out Noise for Sound Isolation Includes 3 Pairs of Ultra Soft Silicone Eartips Frequency Response: 20Hz - 20kHz Sensitivity: 98dB Max Imprint Size: .25" dia. 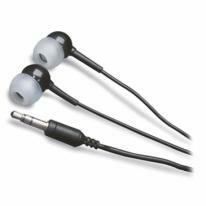 High-fidelity ear buds offer extremely high quality sound. Comfortable ear pieces fit almost any ear - large or small. Ear pieces stay secure during exercise. 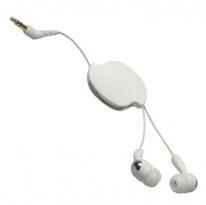 Perfect for use with laptops, MP3 players or other audio devices. Available in 3 colors. 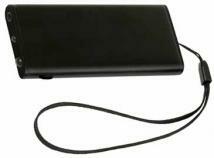 Retractable cord extends to approximately 3-1/2 feet. Price includes one color imprint. Actual Size: 1-3/4" W x 1-1/4" H. Imprint Area: 3/4" Diameter. Packaging: Bulk. White gift box. Shipping Weight: Approx. 3 lbs. per 48. Contemporary design, black with silver accent. Finish/Material: Metal Dimensions: 2 1/2" W x 2 1/2" H Imprint Area: 1.000" W x 0.375" H Shipping Information: Carton Size: Box Length: 2.50 Box Width: 2.50 Standard Packaging: Individually Carton Weight: 36 lbs. / 50 pcs. 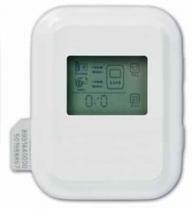 The ulimate solution when left in the dark! Manual LED Flashlight with mobile phone charger. Print Area: 2.17" x .39" Product Dimensions: 5.71" x 1.85" x 1.61" Packaging: White giftbox Packaging Dimensions: 6.02" x 2.05" x 2.48" Weight Product: .37lb Weight Product & Box: .50lb Features: 5 super bright white LED's, dimmer & flasher function. easily operated by rotating the handle, weather proof. the ultimate solution when you are left in the dark and without power. Power: Approx. 1 minute charging gives 45 minutes light or 2 minutes talk time of mobile phones. Battery: No batteries necessary, charge manually by rotating the handle. Accessories: Connectors, white handlanyard attached to product and user manual. Including Mobile Phone: Connectors For Use With: Nokia: 5510, 6500, 6510, 7650, 8310, 8550, 8910. Ericsson: A2618, R310, R320, R380, T28, T29, T39,T65, T66, T68, T68i, T600, T200 Siemens: SL55, SL57, A55 Samsung: A288, R210, N500, A200, A300, A400, N628. 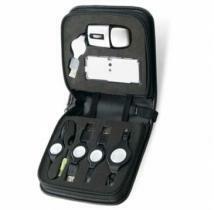 Rugged and padded carry case for cell phones, I-pods, blackberry or other battery operated devices. Fabric made from recycled nylon. 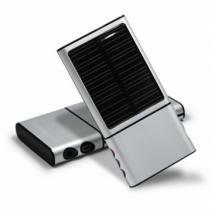 Recharges the Solar way with 6 different standardized adaptors including a USB connector. 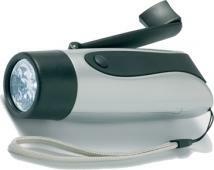 Additional features include a solar powered flashlight and a carabiner attachment. 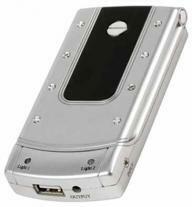 Compatible with Motorola, Sidekick, and Nokia phones. Also compatible with Ipods and Iphones and Blackberry. Product Dimensions: 5'' H x 3.5'' W Imprint Dimensions: 1.75'' H x 1.75'' W Packaging: Gift Box Shipping Weight:40/30 Carton: 21''x13''x13''. Note:For screen, run, imprint charges, call for details. 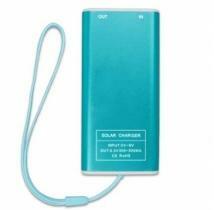 Charge your mobile phone or MP3 player with the power of the sun, or via a computer's USB power. Production: Inquire for lead time. 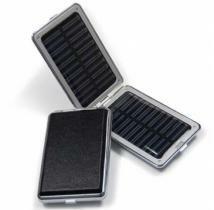 Product Colors: Black with gray interior and blue photovoltaic solar panels. Size: 3 3/4" x 2 1/8" x 7/8". Imprint Area: 1 1/2"w x 2"h. Shipping: 50 lbs. per 100, each packaged in gift box with mobile phone connectors, USB cable and manual. Comes with 6 cell phone connectors. 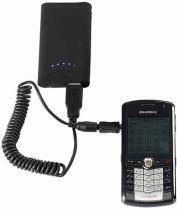 Includes USB cable and AC/DC adapter for charging without daylight, iPod adapter and 6 cell phone adapters including Nokia (41 models), Sony Ericsson (26 models), Samsung (22 models), and Motorola (8 models). Provides 20 hours of standby time. Ultra thin design makes it easy for portability. 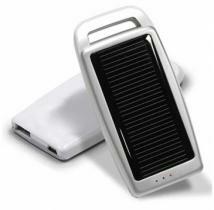 Solar charger to charge your mobile phone, MP3, MP4 players & iPhones. 60-90 minutes of talk time when cell phone is fully charged. Product Size (H x W x D): 1.50 x 0.38 x 3.00 Imprint Area: Top 1 1/8"h x 2"w Packaging: Gift Box Pieces Per Box: 50 Weight Per Piece: 0.36 lbs. Weight Per Box: 18 lbs. Case Dimensions (L x W x H): 11 x 11 x 13. Rise above the clutter with the classic beauty of leather! 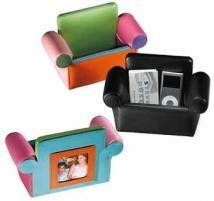 Decorative and functional - great gift or promotion Holds business cards, iPod, cell-phone, etc. 2" x 2" photo frame on back. Size: 4 3/4 x 7 1/2 x 3 3/8 Weight: 1 lb. 5.3 oz. Built-in lithium battery can be charged by AC power or car power. Up to 50 minutes of talk time after cell phone is fully charged. 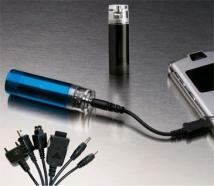 Can charge PDA/MP3/MP4/select iPods/iPhone (does not work with 3G iPhone)/Cell Phones. 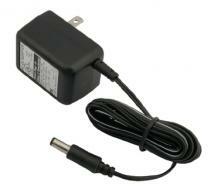 Charger comes with the most popular type of adapters that work with Nokia (41 models). 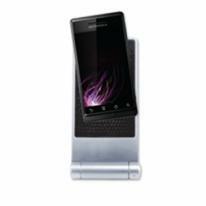 Sony Ericsson (26 models), Samsung (22 models) and Motorola (8 models) phone models. Product Size (H x W x D): 4.25 x 0.75 x 2.13 Imprint Area: Front Flap 5/8"h x 1"w Packaging: Gift Box Pieces Per Box: 48 Weight Per Piece: 0.63 lbs. Weight Per Box: 30 lbs. Case Dimensions (L x W x H): 20 x 12 x 15. Away from an outlet with a dying cell phone? 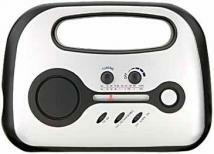 This eco-friendly, emergency clock radio phone charger is the perfect solution. 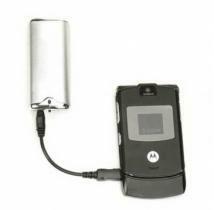 It has a fluorescent light, flashlight, hand-powered dynamo, AM/FM radio, and an emergency charger for Motorola TM, Nokia TM, and Samsung TM cell phones. 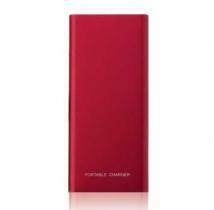 Option: 3 C batteries $1.20. Finish/Material: Plastic Dimensions: 8" W x 6" H Imprint Area: 1" W x 5/8" H Shipping Information: Carton Size: Box Length: 19.00 Box Width: 11.00 Box Height: 8.00 Standard Packaging: Individually Carton Weight: 16lbs / 10pcs. Crocodile-embossed polished leather, luxurious black velvet lining and red trim, magnetic flap closure, elastic sides and belt clip. Finish/Material: Leather Dimensions: 2 3/4" W x 4 3/4" H x 1 3/4" D Imprint Area: 3 1/4" W x 1 3/4" H Shipping Information: Carton Size: Box Length: 3.00 Box Width: 5.00 Box Height: 2.00 Standard Packaging: Individually Carton Weight: 13lbs / 50pcs. 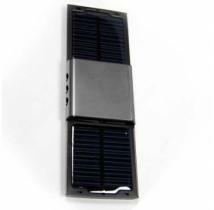 Can charge PDA/MP3/MP4/select iPods/iPhone (does not work with 3G iPhone)/ Cell Phones, Battery on board technology with 3-way charging - solar. AC or auto adapter. Up to 100 minutes of talk time after cell phone is fully charged. Charger comes with the most popular type of adapters that work with Nokia (41 models), Sony Ericsson (26 models), Samsung (22 models) and Motorola (8 models) phone models. Product Size (H x W x D): 3.13 x 1.00 x 4.83 Imprint Area: Center of Top Flap 1 1/4"h x 2 3/4"w Packaging: Gift Box Pieces Per Box: 36 Weight Per Piece: 0.78 lbs. Weight Per Box: 28 lbs. Case Dimensions (L x W x H): 16 x 12 x 15.